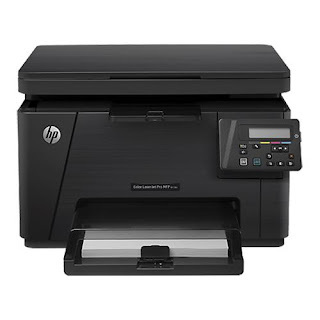 This HP printer is a semi-professional printer that offers very good performance. If we continue to maintain print quality over time and the printer last us many years, vece have to perform a series of cleanings. Then you leave the instructions recommended by the manufacturer to keep about your printer as the first day! As mentioned in another post, laser printers, with use, they are "smearing" inside the remains of toner powder. We must bear in mind that the toner powder is a very fine powder and can fit through any crack or hole of the printer. Sometimes, you can stay on the rollers and we can cause problems with print quality as spots, dots, stripes, lines, etc. In order to solve this, we will print with the printer cleaning page. In the control panel of your printer, press "Settings"
In the menu that opens, select "Service"
Now we choose "Cleaning Mode"
Give the "OK" button and wait for the printer to remove the cleaning page. When finished it will ask you to take back the sheet and reload it into the input tray with the same orientation. Wait until you finish making the process and you can and discard the page. Other times, it can happen that copies or scans leave us with little dots or fluffs that are unattractive to our impressions. This can deverse to the scanner may have accumulated dust or dirt and is affecting performance. To clean it, follow the steps listed you. Turn off the printer and disconnect it from the power cord to make sure it is turned off at all times. Open the scanner lid and clean both the glass and the white plastic that is on the top with a cloth or sponge very soft and slightly dampened with glass cleaner. (Do not use abrasives as acetone, ammonia, alcohol and the like). While dry glass and plastic with a dry lint-free cloth. Connect the printer again and try to scan or copy something, go! You have your impeccable printer!